Quality salmon fishing is closer to home than you think. 2016 - 261 fish, the 3rd best year. The 2010 Season broke ALL records since the Fishery began in 1954, with a fantastic catch of 267 fish. AND ..... in 2015 we smashed the record again with a fantastic catch of 285 fish! 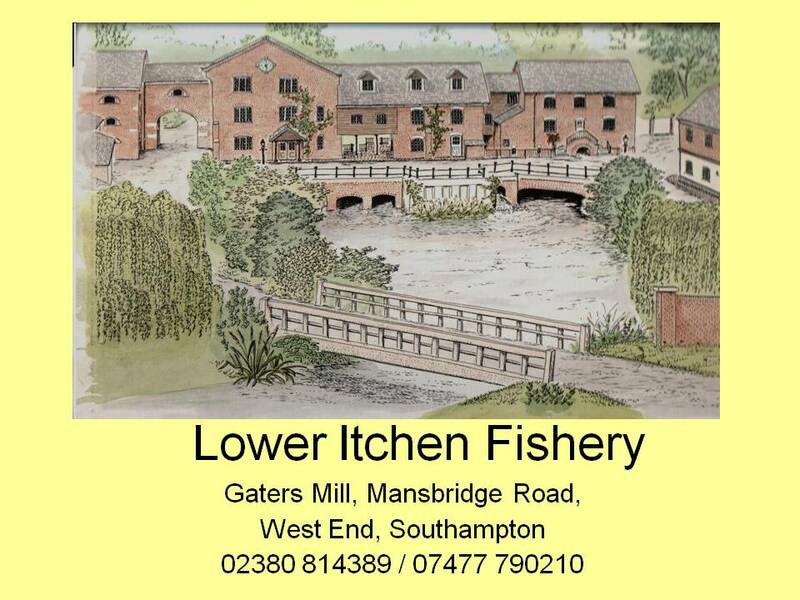 The salmon fishing at Lower Itchen Fishery was established nearly 60 years ago, and has an impressive track record over the years, often having the highest catch record of all chalkstream salmon fisheries in the area, such as the Test and the Avon, as it did in 2010. Most fish caught over a 3 day period: 36. The largest fish to be taken from the fishery was in 1958 and weighed in at a memorable 43lbs. Watch this spacce for some interesting facts and statistics on the 2015 record season. The Environment Agency introduced a new Byelaw in 1999 making it mandatory catch and release for salmon up to 16th June. To further conserve the salmon population the Environment Agency insisted fisheries on both the Test and Itchen have a policy of total catch and release which we have taken on board and included within our rules. 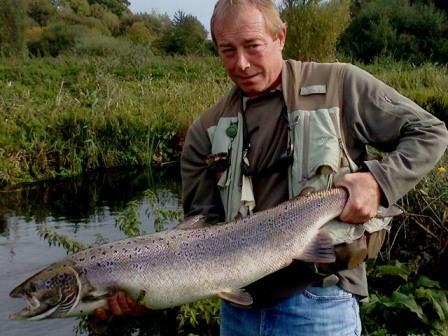 However, our fishery still offers good salmon fishing with the added bonus of being allowed to catch up to two brown trout per beat per visit and no limits on the number of sea trout, which all adds to a days sport. The salmon fishing is carried out over 3 beats which are keepered to suit the salmon's preference for deep channels cut into the potamogetun and lies created by means of groynes and bolders on the riverbed. The size of the grilse are particularly impressive with an average weight between 7-8lbs. Our salmon beats are only 1mile from the tidal limits and from June to the end of September fresh run sea liced fish enter the river on a daily basis. The fishery lends itself to fishing for salmon with bait and lures with the prawn, ledger or float fished, (used after 16th June) being the most popular method. Natural and red prawns appear to be more effective than the other colours available. Spinning is another popular method used with lures such as the Flying C and no. 4 Mepps. A number of fish were also caught using the "induced take" method using a heavily weighted nymph on a suitable trout rod. To see a fish in the crystal clear water chase a nymph from its lie to take the nymph within inches of the surface has been described by our rods as "heart stopping". A Season basis either fortnightly or weekly on a named day of the week Rods are allocated a beat to themselves and their guests on each of their booked days rotating around the three different beats during the season. Fishing is in the "prime" months of May to the end of September. You may choose which beat you want to fish when you book your day. Bookings are not restricted to set days of the week throughout the season. For example, you may to choose to fish on a Tuesday on one visit and a Wednesday on the next visit. It should help you avoid missing days due to holiday/work commitments. You can leave booking some or all of your days to the last minute. You can book several days fishing in a row to make a "short break/holiday". A day ticket basis, which must be booked in advance.